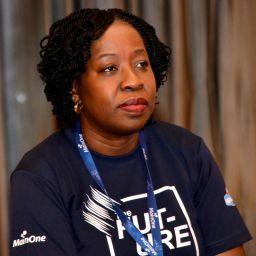 MainOne’s Chief Executive Officer, Funke Opeke, in an interview with Thisday’s Emma Okonji sheds light on the company’s recent partnership with Facebook and efforts to improve broadband outcomes for Nigerians starting with Edo and Ogun states. You recently announced a partnership with Facebook. Can you shed some light on that? We established a partnership with Facebook in 2018 to build and operate metro fibre infrastructure in Edo and Ogun States, two states with fast growing economies in Nigeria. MainOne has built approximately 750kms of fibre network in major metropolitan areas in the states, including Benin City, Abeokuta, Sagamu and some smaller cities with co-investment by Facebook. These metro fibre networks will provide connectivity for MainOne Enterprise customers, as well as Mobile Network Operators (MNOs), Internet Service Providers (ISPs) and government and public locations including State Secretariats, MDAs, schools and hospitals. We believe this project has the potential to improve Quality of Service to over 2.5 million internet users in these states and greatly improve broadband access with corollary benefits of improved economic opportunities via employment generation, increased productivity and access to knowledge resources. Why Ogun and Edo States? MainOne has been an advocate of the National Broadband plan since its creation. As a service provider delivering services in all states of the Federation, we know how difficult and expensive that is today and how in most parts of the country, the service quality is poor and inconsistent. Our work brings our team in contact with the leadership in many of the States. These particular states have leadership promoting the development of technology ecosystems and job creation in their states. After Edo, Ogun, what next? Our vision as an indigenous company is focused on improved broadband access across Nigeria which will increase the utilisation of our submarine cable system and bring the benefits of digital transformation to our youthful and largely unemployed population. We have repeatedly shown our ability to attract Foreign Direct Investment (FDI) to achieve that. MainOne is not alone in this quest within the country and we will continue to work with different operators and partners to ensure that this vision is achieved. There is no silver bullet solution that works; but we believe that diverse and wide efforts such as the one recently undertaken by MainOne and Facebook to invest in critical infrastructure will result in good outcomes for Nigeria.